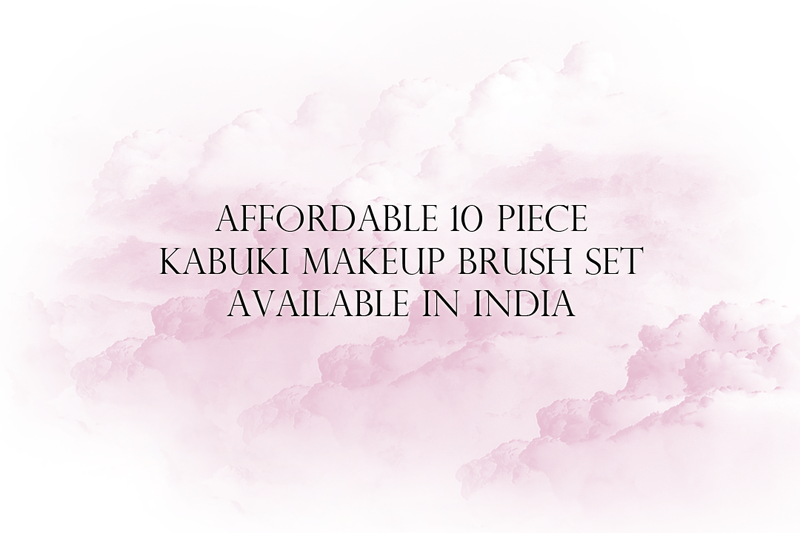 Hello everybody, Today I'm bringing to you a set of 10 Kabuki Makeup brushes. 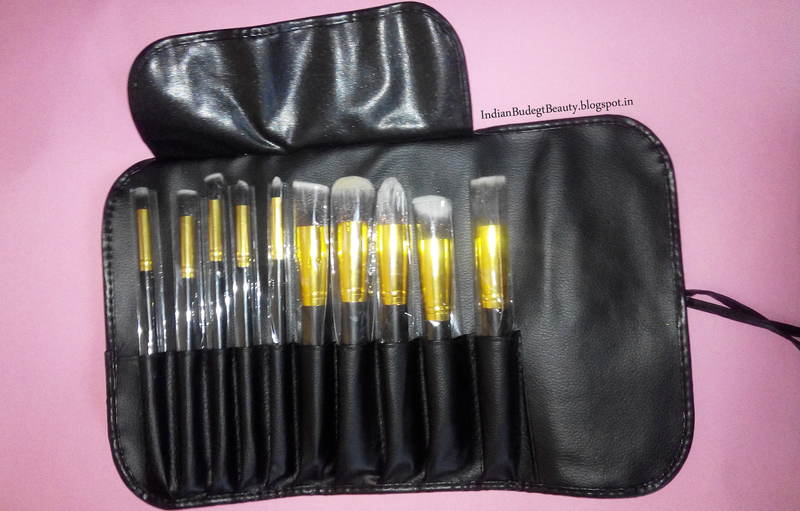 What is a Kabuki Brush? Few days back I was just browsing some sites for affordable makeup brushes and THEN I FOUND THIS BEAUTY. It was a set of 10 makeup brushes and all of them were Kabuki brushes. The price caught my attention 'coz normally kabuki brushes are quite pricey. I got them for Rs.899. The set includes 10 brushes. 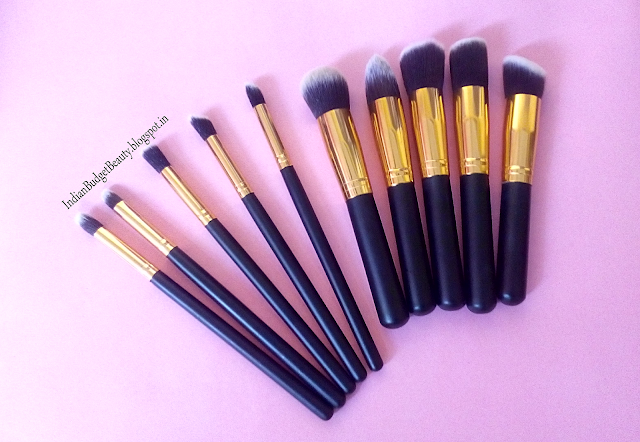 5 base makeup brushes and 5 multipurpose brushes. 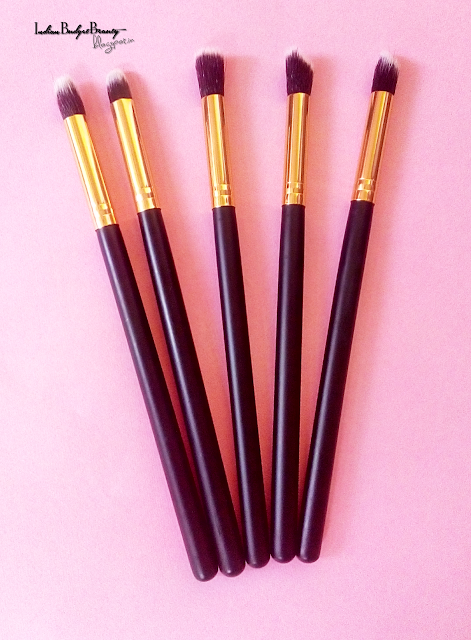 The brushes have very soft bristles. I've washed them about 3 to 4 times but the bristles never came out, they are quite intact. It also comes with a PU leather bag which is helpful for storing them. 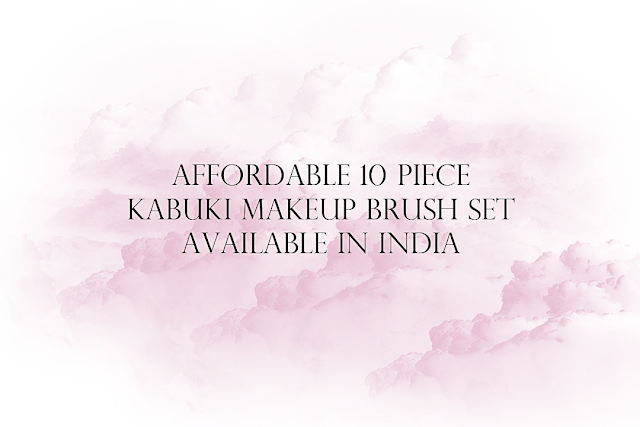 The brushes cost me Rs.899, it means that each brush costs approximately Rs.90, which is quite a bargain, because at Rs.90, we don't find Kabuki brushes. I bought them from amazon and they are available in different websites like snapdeal, flipkart, etc. Did you buy them from amazon. It's great to have cheaper options than Sigma or MAC. 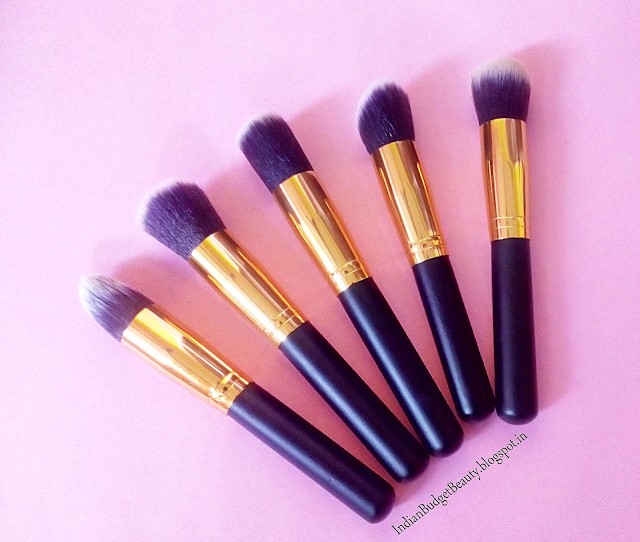 These brushes look totally amazing for the price you pay. I have to check these out.